Designs of what appears to be the production version of BMW’s Concept 9Cento sport-tourer have been uncovered from, of all places, Brazil’s Instituto Nacional da Propriedade Industrial (National Institute of Industrial Property). 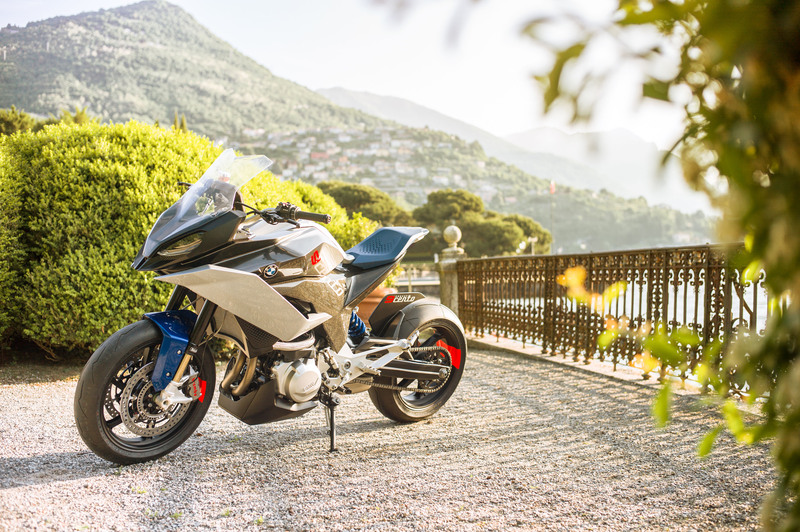 The new design shares similar styling with BMW’s concept, only less aggressive and with the necessary parts to be homologated for street use. 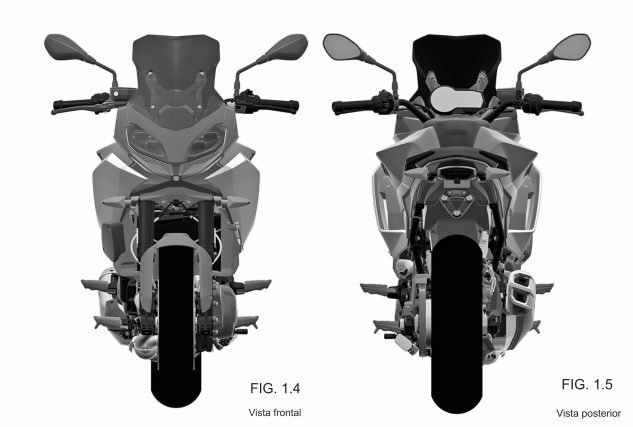 The filing does not list a model name, but the name going around the rumor mill is “F850RS”. 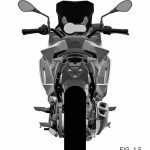 The new design was uncovered by Motor1 Brazil, which published the filing information and a single low-resolution image, but we’ve tracked down higher-resolution images to give us a better look at the details. 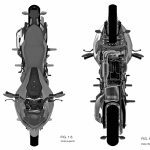 The design was filed with the INPI on Nov. 12, 2018, referencing an priority filing in Germany made on May 15 (which was, incidentally, a couple of weeks before the 9Cento was unveiled). BMW also filed the designs for the 9Cento with the German and Brazilian offices on the same dates. The filings with the German office are under embargo and don’t provide much detail, but it looks like its Brazilian counterpart didn’t get that memo. 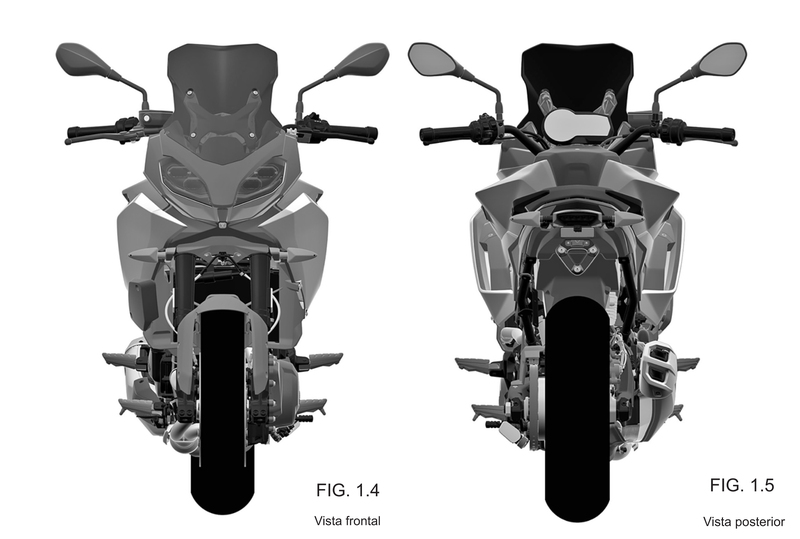 From the side, the F850RS shares more design cues with the BMW S1000XR than the R1250RS (enough so that we think “F850XR” may be a more appropriate name). 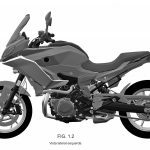 The nose ends in a sharp point like the S1000XR, with a half-fairing extending down and back, below the fuel tank’s knee cutouts. 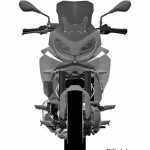 While we like the F850XR name better, there is evidence to support the theory of the F850RS name instead. 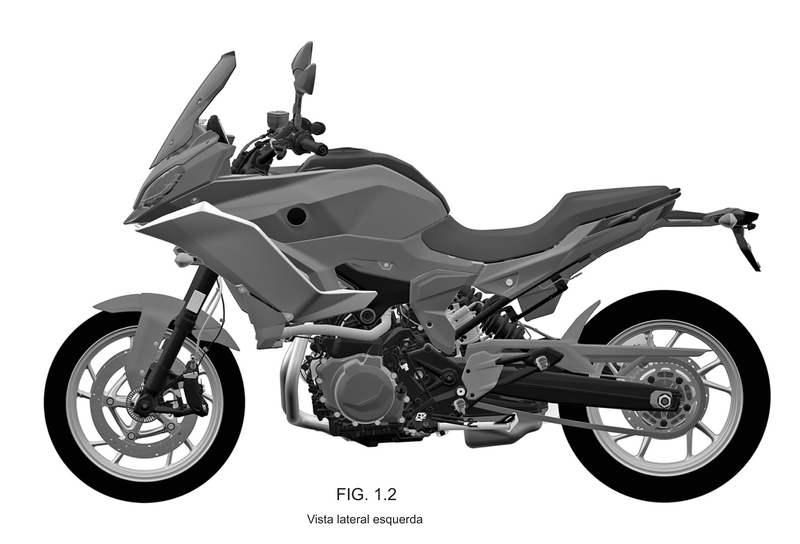 A brochure by BMW mentions the F850RS name as a mid-range option to the R1250RT and K1600GT and K1600GTL. 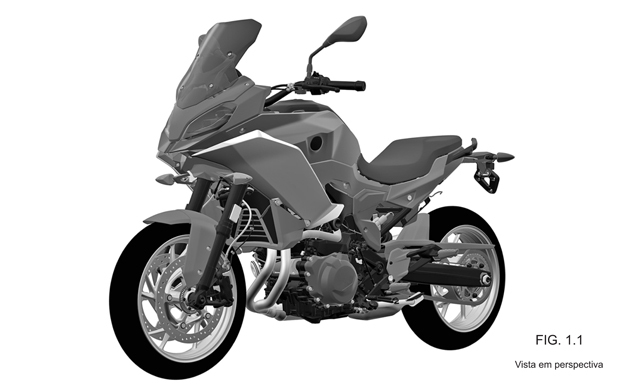 BMW later said that was a typo and the text should have read “F800GT”, which sounds like a rather flimsy excuse. 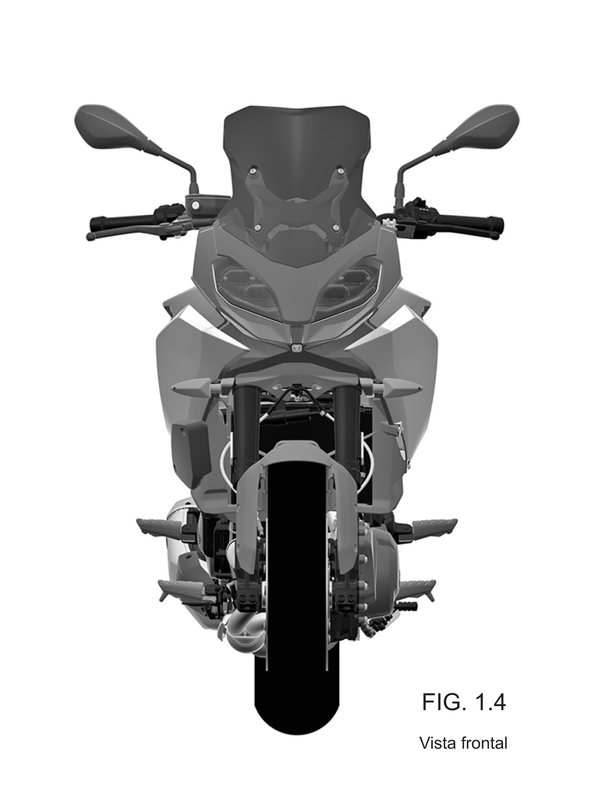 Lacking any other evidence, we’ll go with the F850RS name moving forward. 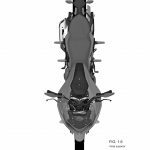 The fairing isn’t as long as on the concept, and the seat is significantly lower and longer, with more than just a vestigial passenger seat. 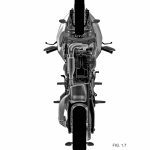 Up front, the handlebars are further back than on the 9Cento, which should create a more comfortable seating position. Also helping is the more upright windscreen. 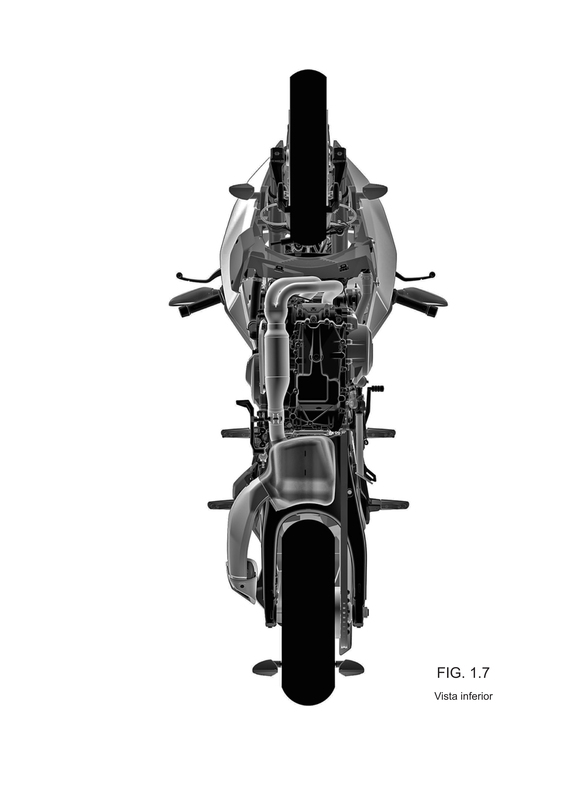 From this side, we can see a larger, but more production-looking exhaust, angling up to the right of the swingarm. 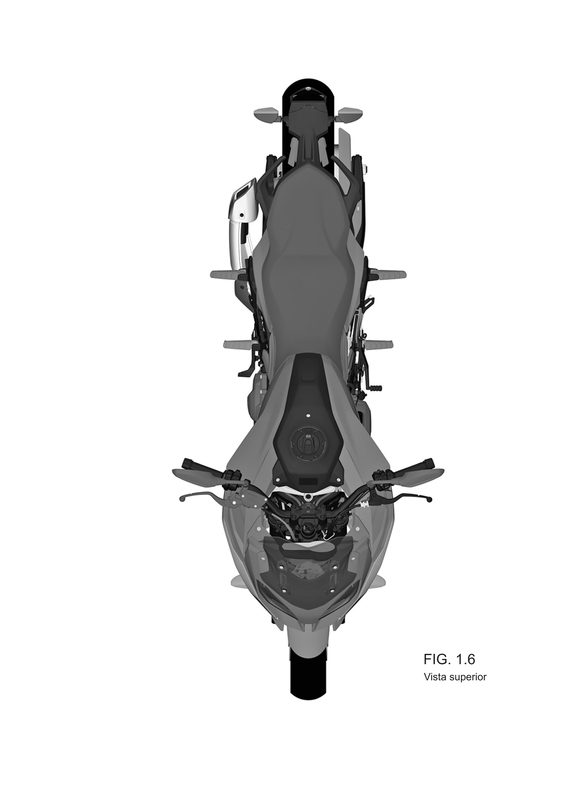 The rear suspension looks similar to the concept but the fork appears shorter and has a larger rake angle. 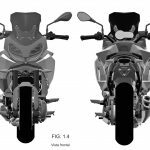 Visually, the engine looks similar to the parallel-Twin engine found on the F850GS, though we can’t be sure of any changes. 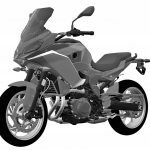 The Concept 9Cento’s name may hint at the displacement being closer to 900cc than the 853cc engine on the GS. 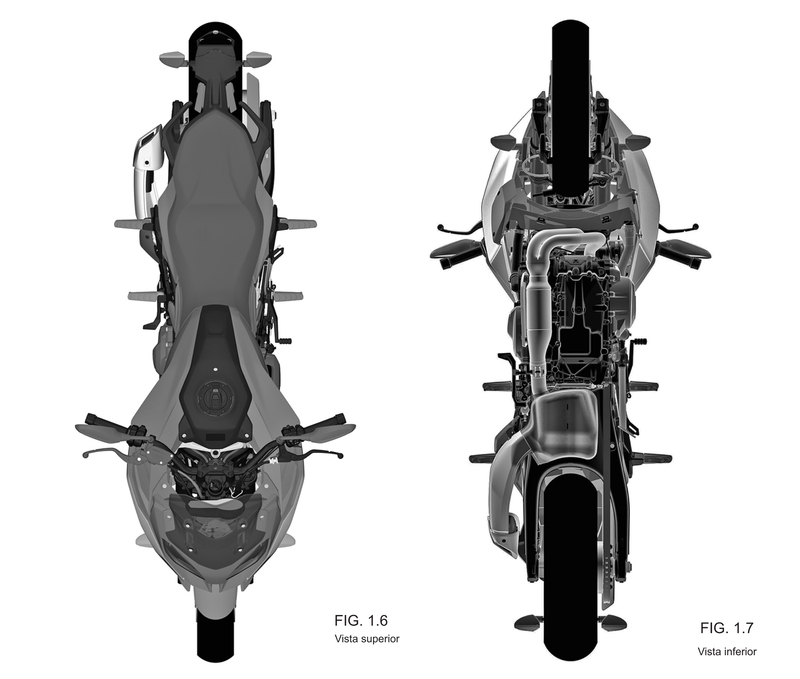 BMW continues to go with a more conventional symmetrical design for the F850RS, with matching twin headlights, likely supported with LED daytime running lights for European requirements. 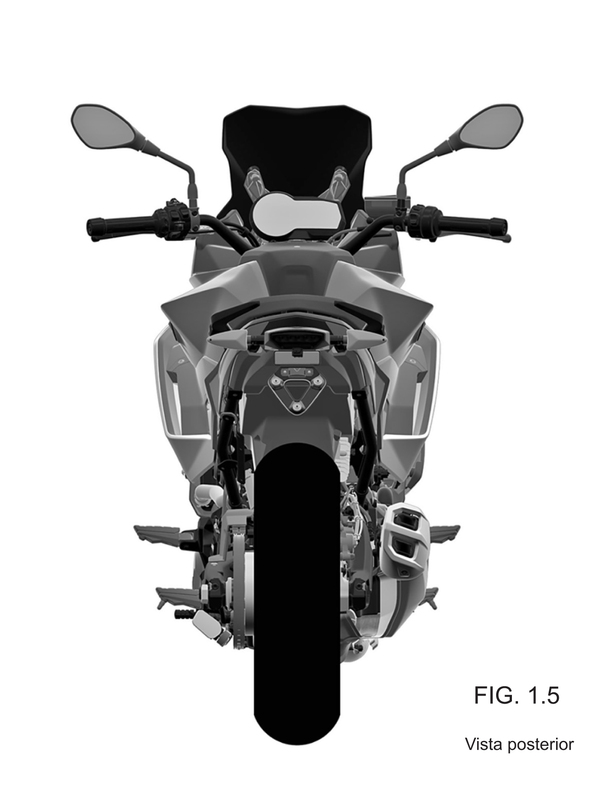 The rear view gives us a look at the shape of the instrumentation; it’s blanked out but it looks similar to the one on the F850GS, but BMW will likely also offer the same Connectivity option with a TFT screen. 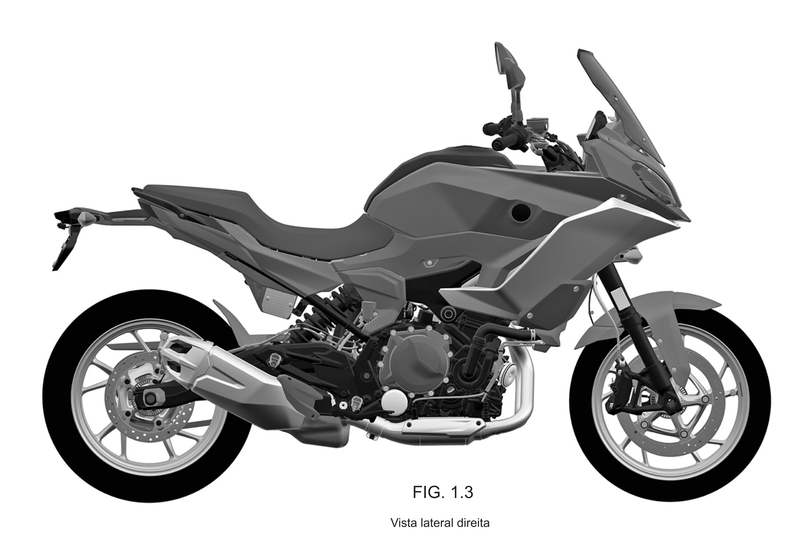 The timing of the patent filing suggest the BMW F850RS will be coming soon, likely in the fall at EICMA, though BMW has been making a habit of releasing details outside of the big motorcycle shows. 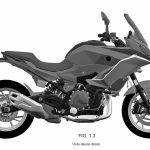 We’ll have more information here on Motorcycle.com as it becomes available.